A few nights ago I finally decided it was time to find out what had been making periodic strange noises in my attic at night for the last couple of months. I had looked up there once before and couldn’t find any signs of anything unusual so I thought it was just in the gutters but recently I had become convinced something had to have found its way into the attic. I got a live trap and set it in the attic in the evening and the next day I looked and found this strangely calm creature staring back at me. I was expecting a tree squirrel, rat, or chipmunk but so I was quite surprised that I could not immediately identify exactly what it was that I had caught. The kids thought it was the cutest thing ever and even my wife thought is was adorable. It looked like a cross between a mouse, chipmunk and a squirrel. 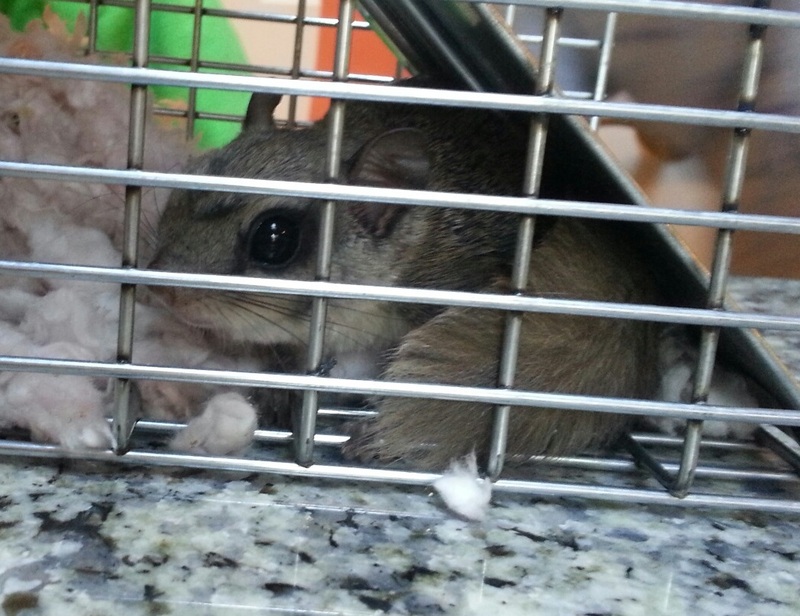 I suddenly remembered that I had read that flying squirrels can invade attics but I had never seen one before. A quick Google search brought up a picture of exactly what we had: a North American northern or southern flying squirrel. Based on the coloration I think it was a northern flying squirrel. What you can’t see in the picture above are the white patches on its sides which is where the folded up skin is found that unfolds when it spreads it front and back legs out. When I went to release the squirrel a few miles away in a forested area I opened the cage and it slowly walked out and then it jumped in the air spread its legs and glided at least 20 feet down a hill into the woods. It then ran up a tree jumped off and glided to another tree 5 to 10 feet away. Really quite an amazing sight. I had been so perplexed as to how anything go into my attic because I could find no evidence that anything had climbed up the side of the house but now the mystery is solved. This squirrel was able to climb a tall tree nearby and glide over onto my roof. 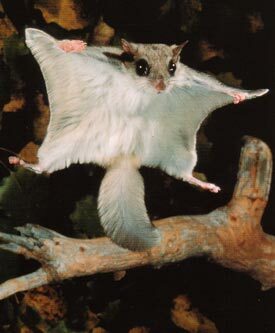 A flying squirrel showing off its gliding ability. Notice the flattened tail that can act like a rudder. Our lack of familiarity with these great critters is likely due to their nocturnal ways and so we are unlikely to encounter them in the wild and they don’t make good zoo animals either. Doing some research I found out that they are far more common than I could have imagined. There are only two species in North America but they are widespread in the east. 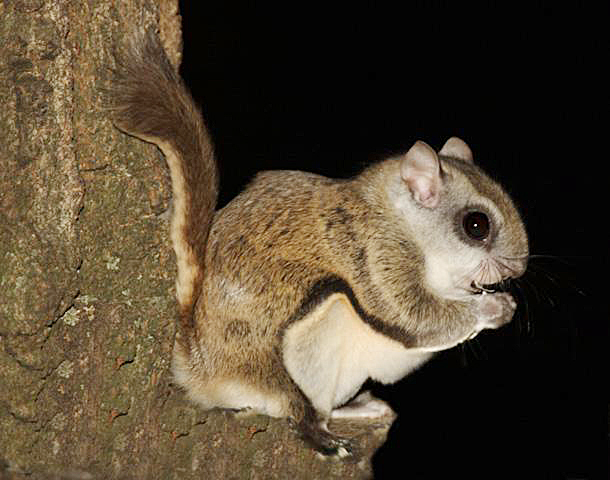 But what really surprised me was finding out that there are 13 genera and 44 named species of flying squirrels around the world. 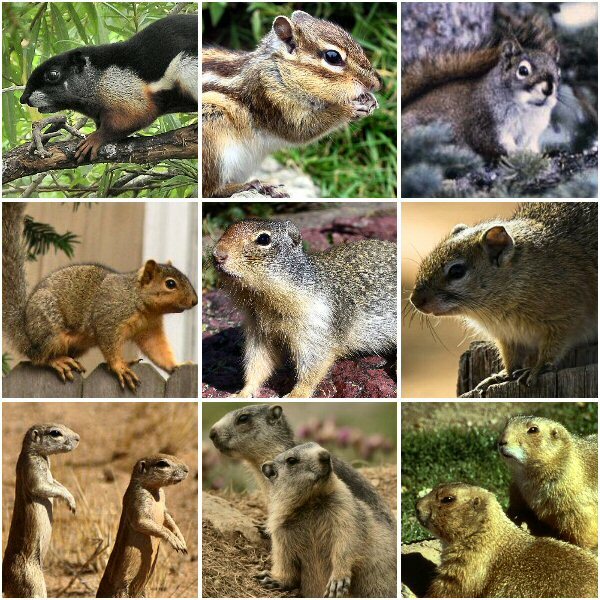 This is more than the 5 genera and 38 named tree squirrels species! The squirrel family (the Sciuridae) is quite diverse and has 250 to 300 species that include tree squirrels, flying squirrels, marmots, ground squirrels, prairie dogs and chipmunks. FYI, you might think that prairie dogs look like meerkats from Africa. They do have a similar appearance and have similar lifestyles but meerkats are a carnivorous animal and are in the mongoose family. Thanks. You are most welcome to use any images from this page.